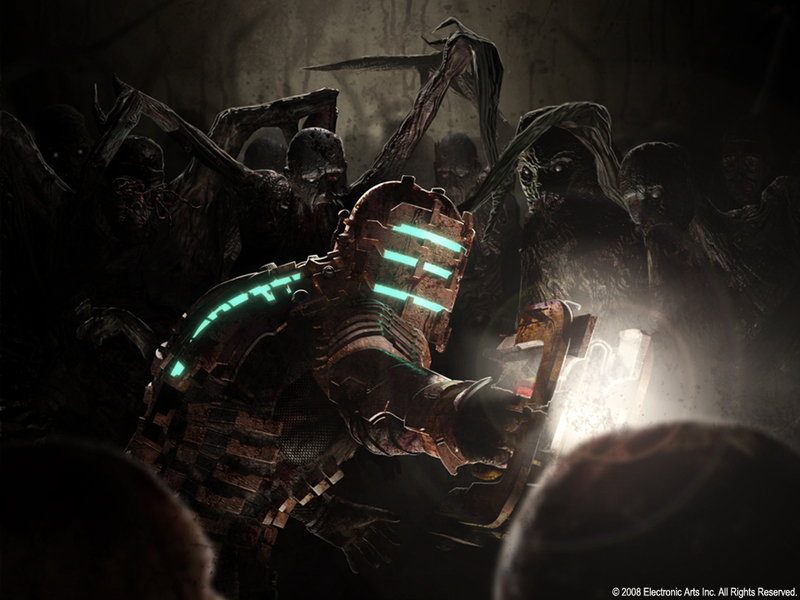 Dead Space 2 is the second installment in the series. It is a sci-fi third person survival horror game developed by Visceral Games and EA. Visceral decided to focus on action rather than pure horror this time, and the game surprisingly doesn't suffer too much from it. It is available on Xbox 360, Playstation 3 and on PC. The Sprawl, the Ishimura is also visible. 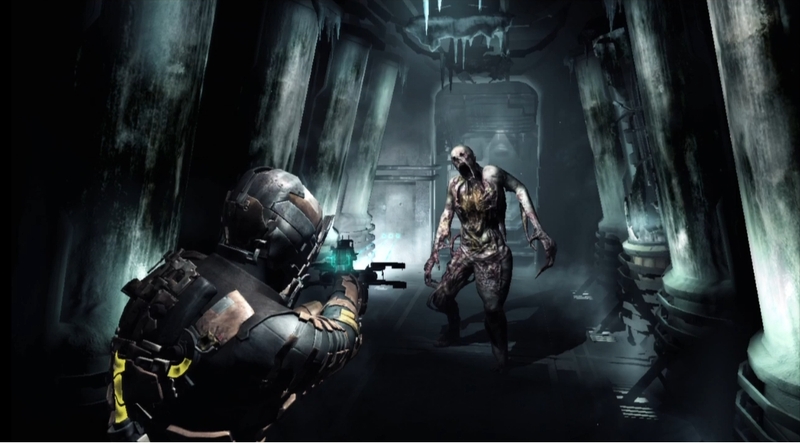 Dead Space 2 takes place place 3 years after the events of the first game. 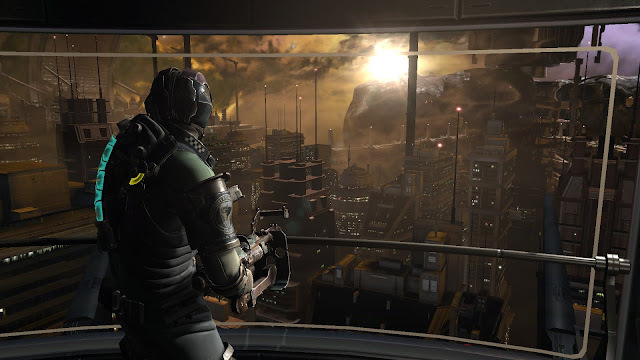 You play as Isaac Clarke, who has woken up in a mental institution on the Sprawl, a gigantic city surrounding a shard of Saturn's moon, Titan. 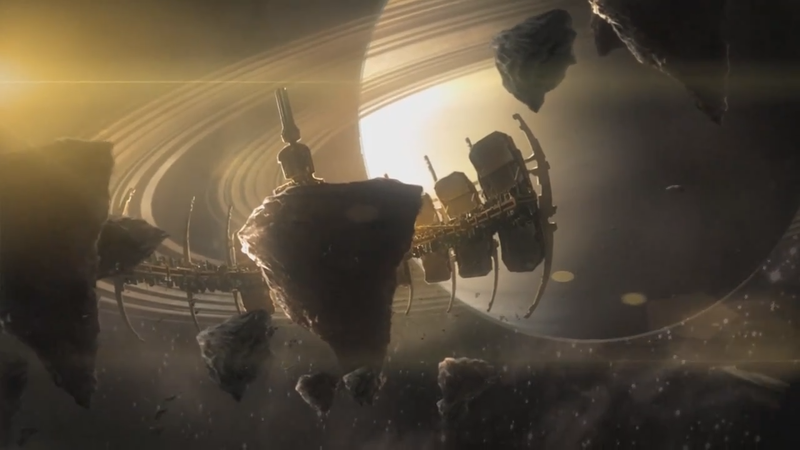 The Sprawl is hundreds of times larger than the USG Ishimura, which is where almost all of the first game took place. A necromorph outbreak is taking place and the entire city is being overrun and reanimated. Isaac must fight his way across the Sprawl, fighting new types of necromorphs and struggling with dementia and vivid hallucinations throughout. As discovered at the end of the first game, an object called the Marker was discovered on Aegis Vii and brought on board the Ishimura. This is what caused the Necromorph outbreak and the widespread insanity among the crew. The military have been using Isaac's broken mind to create a new marker as a weapon in this city, and it went wrong. Isaac makes it his mission to destroy this new marker. Isaac fighting one of the new necromorphs. Many mechanics are improved upon in Dead Space 2. This game has moved away from the atmosphere of pure horror and stress from the first game and swaps gritty, industrial corridors for a huge, bright city with thousands of people and recognizable places such as shopping centres and playgrounds. This is a very nice change as nothing from the first game overstayed its welcome or became boring. Another game with a similar setting would likely become tedious after a while. 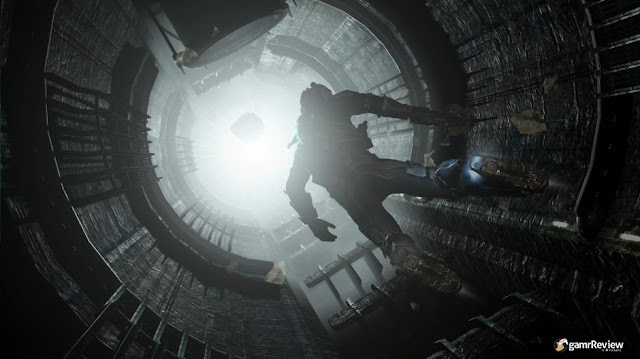 The design team focused on making this new setting creepy and eerie, an atmosphere that Dead Space 2 pulls off very well. Another interesting change is that Isaac can speak, and does so quite often. My main worry when I heard that Isaac would show his face often and speak was that it would ruin the image of him from the first game. Surprisingly, Isaac is a very likable character with a very suitable voice actor and well-written lines. This definitely takes away from the horror experience from the first game though as it makes you view Isaac as a confident character who isn't afraid anymore. He is beginning to feel more like an action hero rather than the average Joe ship engineer he was in the first game. Preparing to fight your way through a nursery. The addition of new weapons and suits that fit well with the game is great. My personal favourite weapon is the rail gun, which fires spiked poles to impale anything it hits. Necromorphs will fly back and stick to the wall when shot with it, you can then use the alt fire to electrocute them. I use this alt fire to set traps on the ground by tricking enemies in to walking over the spikes so I can electrocute them. 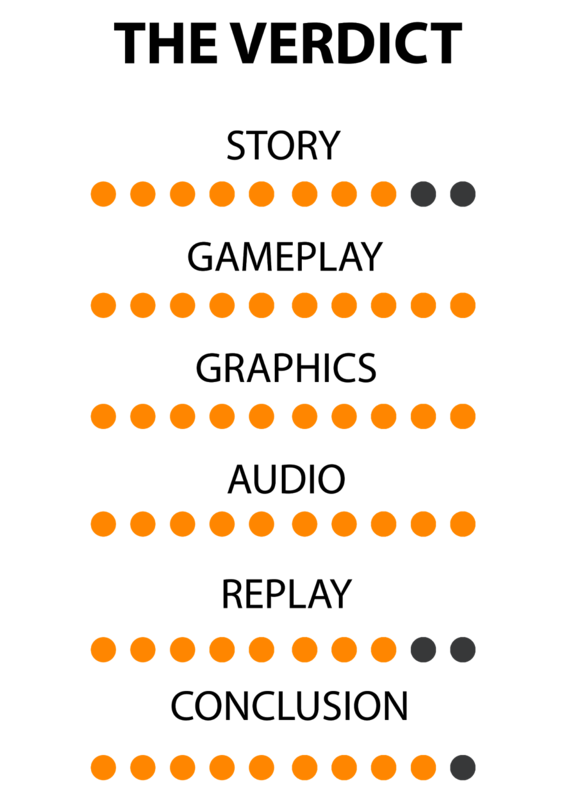 Mechanics from the first game are all still present. Isaac still has his kinesis, which allows you to solve puzzles, use objects as improvised weapons and clear paths and stasis module, which allows you to slow down time in a localized area for a few seconds. Stasis has been improved in a big way, it now affects everything in an area instead of only the object it hits. This is needed as you are forced to fight many more necromorphs at a time than before. Upgrading still works the same way as it did before, you must search for a workbench and use power nodes found throughout the environment to upgrade your equipment. Floating through the garbage disposal. Zero gravity and vacuum sections make a return and they're a lot of fun. Isaac can now float through areas instead of only being able to jump from wall to wall. When getting close to a surface, there is a button to automatically orient Isaac, so you can go from floating to walking without any awkwardness. Zero G segments are no longer limited to rooms. Some areas allow you to fly freely in massive areas outside of the Sprawl to fix radio towers. The scale of the Sprawl really becomes apparent in these areas as it is clear that you are moving massive distances just to cross a tiny section of the city. 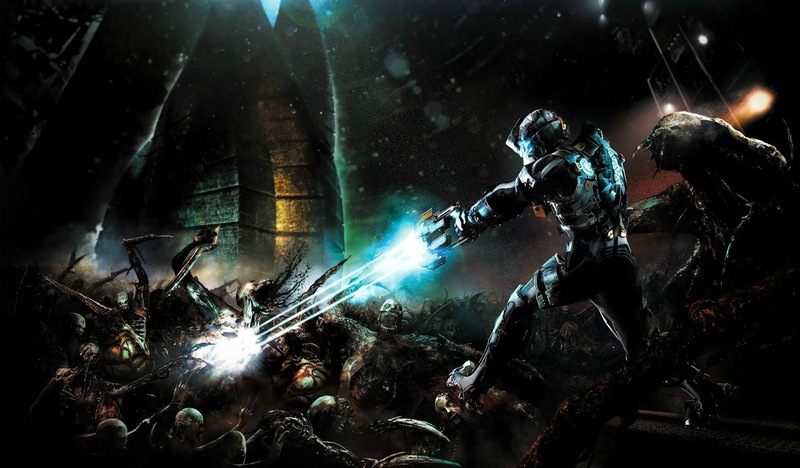 Dead Space 1 vs Dead Space 2. The difference in tone is obvious. The horror aspect is still there, but it's hard to take it as seriously due to the new setting. It feels a lot more inviting than the Ishimura's interior from the first game. 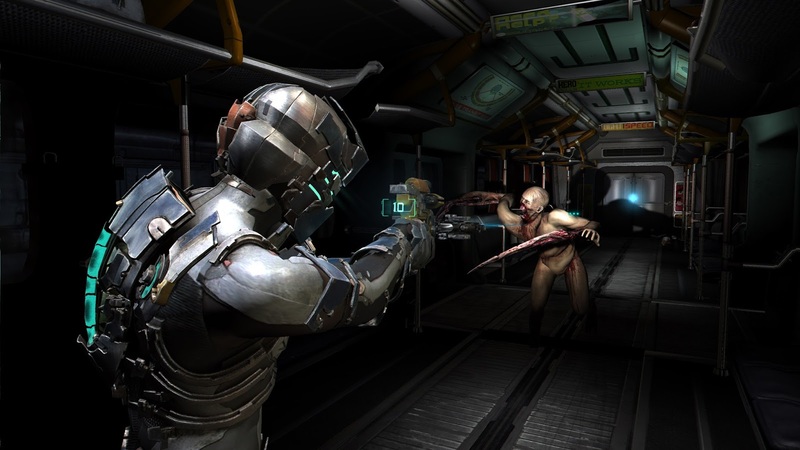 Gameplay generally consists of a long, dark area filled with scares and enemies to fight, and then a large-scale and intense action sequence to cleanse the pallet before going to the next area. The action sequences can be heart pounding at times as you can die in an instant in most of them. A fun new feature is the inclusion of breakable windows that will cause the entire room's contents to be sucked out in to space. It can be used to quickly make clear a room or to challenge the player by making it important for them to not miss a shot and accidentally hit the window. When broken, you will slide along the floor towards the window, you must shoot the target above the window to activate the emergency hatch to seal the breach and save yourself. If you wait too long, a multitude of horrible deaths from being caught in the closing hatch door await you. There's no fear when Codecow is here. One of the stranger features introduced in this game is the online multiplayer. I have only had the chance to play a few matches of this as people stopped playing it fairly quickly and finding a match became impossible. You can play as either a human or as a necromorph. There are 4 types of necromorph to choose from, each with different specialties. The human teams have an objective, and the necromorphs must stop them. 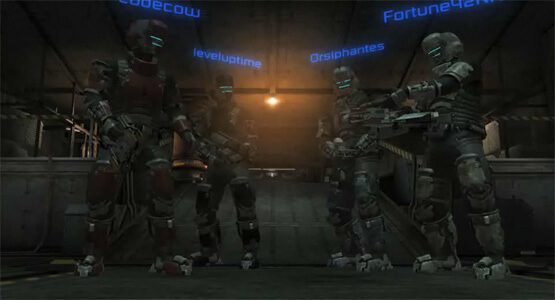 Necromorphs can latch on to humans, travel through vents and see human nervous systems through walls. The multiplayer is fun, but died out very quickly and wasn't needed in the first place. The graphics have taken a massive step up since the first game and have a much smoother and cleaner appearance. Texture quality for the enemies and Isaac's suit are fantastic and make every subtle detail obvious. You will find yourself aiming at dead enemies to look at all of the details on their bodies to figure out how they're put together. Views of space never fail to impress as you are given plenty of opportunities to see Saturn's massive size take up a large portion of the view. The team really went all out on death animations for Isaac. Just like the first game, every enemy has a unique and horrible ways to kill you. They've one-upped this and created lots of environmental death animations and extra death animations for old enemies. Isaac fighting a necromorph inside a train. Sound plays less of a role now than in the first game as the environments aren't designed to make you feel as isolated. There is much more background noise and the necromorphs aren't as stealthy as they used to be. 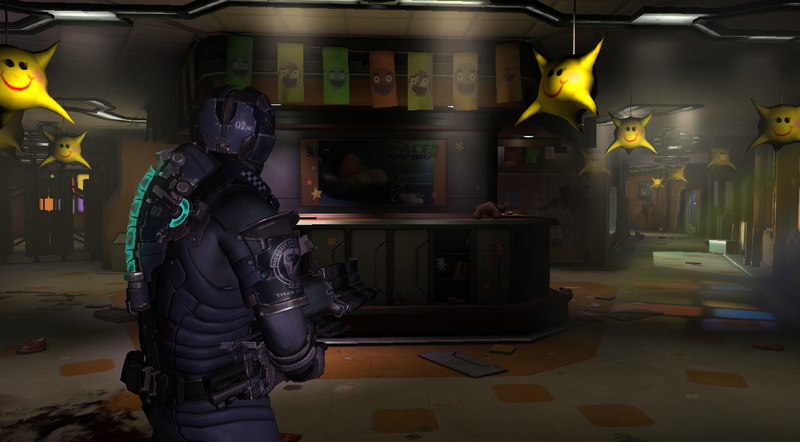 This hurts Dead Space 2 as a horror game, but doesn't make the gameplay any less entertaining. 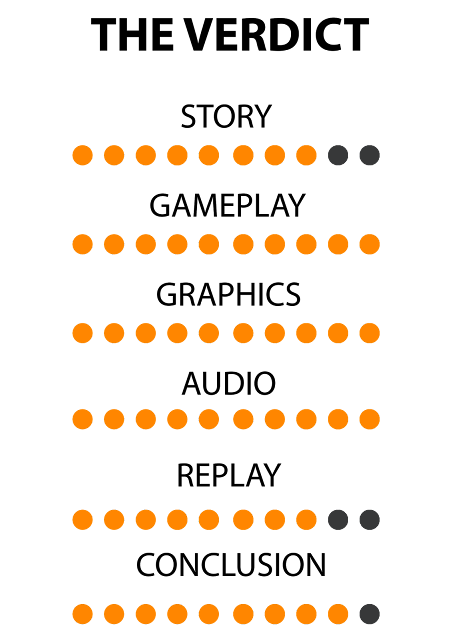 Music plays during key moments and when looking at an enemy, the rest of the game is usually silent, like in the first game. There are a few reasons to start a second playthrough when you're finished. New suits and weapon upgrades have been added as unlockables from NG+. 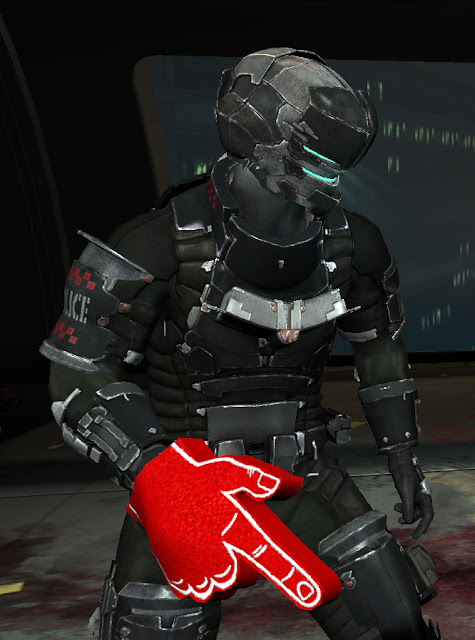 A foam finger weapon is also available after completing the game, the foam finger is the most powerful weapon in the game and has infinite ammo. Isaac points and shouts "BANG" and then enemies die, it is a goofy reward for people who just want gameplay rather than a horror experience. 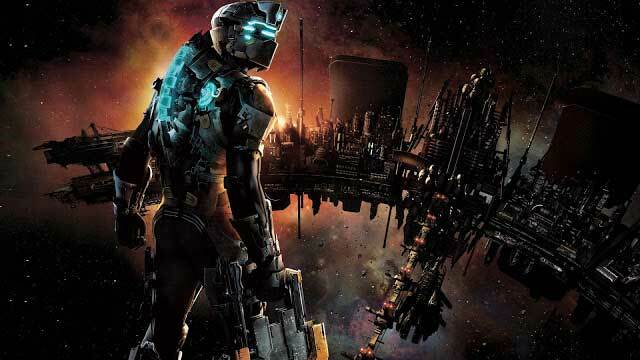 Dead Space 2 is one of the few sequels to a great game that is just as good as the first. This game favours action over horror, but still remains a brilliant game with fun mechanics, smooth and responsive controls, new and interesting environments with the familiar creepy enemies and tone. I would give this game a 10/10, but the lack of emphasis on horror made it feel like a different series at time. My final verdict is 9/10. A brilliant game worth buying. The story drags it down a bit as the mystery behind the necromorphs was a fascinating part of the first game and is no longer present in the sequels.